I’m being pushed out of my comfort zone and well, it’s uncomfortable. I exist happily walking around Esquina with a water pitcher, conceiving a new dessert combination, or behind a cash register talking with customers. But, hunched over a calculator and computer…that’s a different story entirely. I can actually feel my blood pressure elevate like I am taking a final exam that counts for half my grade. I hate not feeling as though I am not equipped to handle a situation or task. So I was comforted and encouraged by a post by the author Gretchen Rubin (“The Happiness Project”) on her blog about enjoying the fun of failure. I can recognize that my reluctance to tackle a new job or task is often wrapped up with the nagging fear that I won’t do it well. So to give myself permission to try, not knowing what the results will be, is liberating. It doesn’t necessarily lower my blood pressure as I approach the new accounting software, but it reassures me that I can benefit from this experience nevertheless. 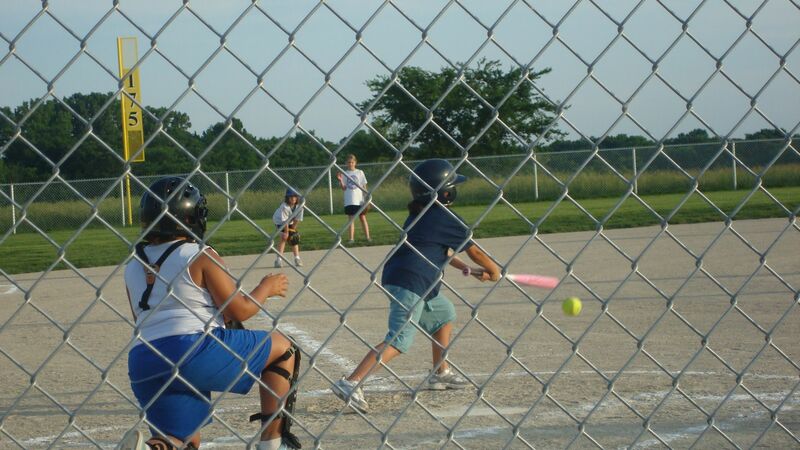 My nine year old daughter had the first softball game of her life last night. She was nervous before, as she has little experience with the game, and I was so proud of her for pushing out of her comfort zone (ballet and theater) to try something new. As I was watching the game, a flood of long-buried memories from my one season on a softball team surfaced – mostly in terms of the expressions that are shouted out. “Good hustle”, “Got a piece of it”, “Good eye”, and so on. I remember the coaches telling us that even George Brett struck out, which we would remind each other when it happened to us. Ummmm…did you forget that your sister is an accountant? I bet she would be happy to ease your anxiety over all things accounting, even software. And from what I remember, you were a pretty good little softball player! Better balerina, yes, but not bad with a bat. Oh, do I know the “reluctance syndrome”! Your insights surpass even your cuisine! Wish I could be there with my pom, pom’s. Good swing sweety!